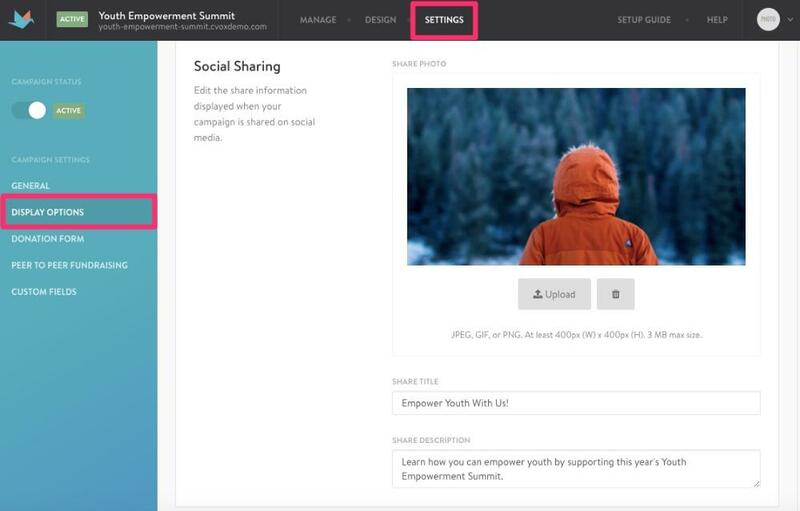 The Social Sharing feature on your Site Settings allows you to customize the way your CauseVox campaign appears when you share it on Facebook and Twitter. Step 1: In Settings, click on Display Options on the left menu of the page and scroll down to the section labelled "Social Sharing." Step 2: Upload an image representative of your campaign - You can access our Support article to get more info on the photo dimension requirements for Facebook/Twitter sharing purposes. Step 3: Input campaign info accompanying your image - This includes the title of your content and brief description highlighting the cause. This info appears right below your chosen image. Need more information on Social Sharing? 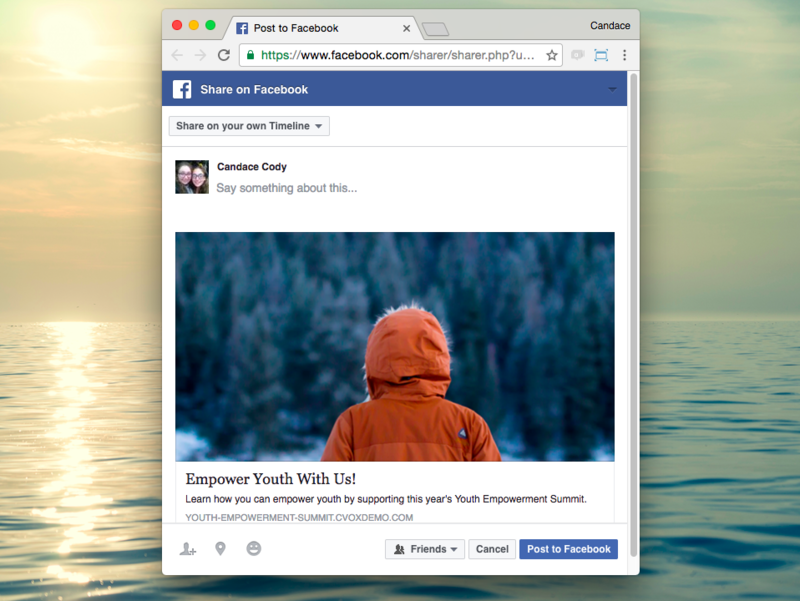 Check out our Facebook Sharing Media Dimensions.